Kudos to all of the organizations who make Christmas better for those in need, financially and spiritually. Consider visiting one of these sites and doing a little extra this year. Angel Tree. Christmas is approaching quickly, and Prison Fellowship Ministries still has over 38,000 kids of prisoners who need to feel the loving touch of someone who cares. Each $12.25 donation will provide a prisoner’s child with a Christmas gift along with a loving message on behalf of the incarcerated parent. Would you like to donate to a needy child: http://www.prisonfellowship.org/programs/angel-tree/. Toys for Tots Program. The mission of the U.S. Marine Corps Reserve’s Toys for Tots Program is to collect new, unwrapped toys during October, November and December each year, and distribute those toys as Christmas gifts to less fortunate children in the community in which the campaign is conducted. The primary goal of Toys for Tots is to deliver a message of hope to less fortunate youngsters that will assist them in becoming responsible, productive, patriotic citizens. To find out more visit http://www.toysfortots.org. 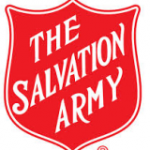 The Salvation Army. 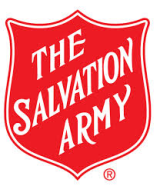 The Salvation Army is an international organization dedicated to helping families, children, and adults. Donations provide Christmas dinners, clothing, and toys for families in need. Volunteers distribute gifts to shut-ins in hospitals and nursing homes, and shelters are open for sit-down dinners. Visit their website to see what you can do to help: http://www.salvationarmyusa.org/usn/.